Neither the Wisconsin dairylands nor a company town like Kohler, home of the eponymous bathroom and kitchen fixture manufacturer, inspires visions of an inimitable resort vacation. Yet since its inception in the early 1980s, the American Club has quietly emerged as one of the great resorts in all of the Midwest, one made all the more unusual for being a showcase for the Kohler Company that owns it. The heart of the resort is a stately red-brick National Historic Landmark originally built in 1918 to house immigrant employees and now extensively renovated and expanded to encompass a conference center and 240 rooms and suites, all with opulent bathrooms—including whirlpool tubs—straight out of a Kohler catalog. Hand-crafted oak paneling, Oriental rugs, down comforters, and stained glass further enhance elegant comfort. Pampering is as close as the new Kohler Waters Spa, located right at the American Club. And all of this is just steps from the Kohler Design Center, which exhibits Kohler products past and present. There is an almost eerie magnificent obsession about the entire resort, as if every brick and fixture had to reflect the Kohler Company's pursuit of polished excellence. That has, however, engendered extraordinary amenities, among them Pete Dye's 72 testing golf holes: two courses at Whistling Straits (the Straits course, which snagged prime real estate bordering Lake Michigan and is ranked No. 5 public course in the U.S. by Golf Digest, and the Irish course) and two courses at Blackwolf Run (the River course, ranked No. 11, and the Meadow Valleys course). Add to that a racquet and fitness facility called the Sports Core (which has a dozen courts, half of them indoors), miles of biking and hiking trails, and even a wilderness preserve. The resort also has nine restaurants, foremost among them the Immigrant, whose menu reflects Wisconsin's cultural heritage with choices as superb as the prices are high. Tennis Staff. Aniela Neuberger heads up the program. Originally from Cape Town, South Africa, where she was a top junior, she went on the play the tour, rising to 250 in the world, before opting out in favor of college. While majoring in psychology, she played No. 1 singles and doubles and was a four-time All-American in singles and doubles. 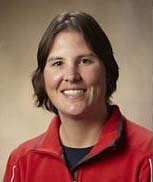 Prior to coming to the Sports Core, she had coached the Marquette University women's team and directed tennis at Elite Sports Clubs in Milwaukee. Tennis Programs. Since coming to Sports Core late in 2016, Neuberger has set out to revitalize the tennis programming. Though focused on the active local membership, it readily accommodates hotel guests with its Cardio clinics, men's and women's drill and play sessions, and pro workouts. There is at least one mixer monthly (under the USTA's "Sets In the City" banner) for all levels of players as well as game matching for those simply looking to play. Kids tennis programs range from all the various colored-ball formats (including several weeks of summer day camps) up through high-performance sessions for older, competitive players. Courts & Fees. Sports Core, the 100,000-square-foot recreational facility, has 12 hard courts, half of them indoors. Court fees: $18/hour outdoors for hotel guests, $23-$30/hour indoors. Golf Courses. The resort has four notable Pete Dye courses: 36 holes at Blackwolf Run and another 36 at Whistling Straits along Lake Michigan. Rates are subject to 5% sales tax and 5% village tax. Both rooms and suites are available. Seasons. The indoor courts allow year-round tennis. General Tourist Information. For general information about travel to this part of Wisconsin, visit the Sheboygan County Chamber of Commerce website. Here's what others have had to say about American Club Resort.